We have used St Tropez Tanning products since 2001, we believe that it is the best tan on the market and cannot be beaten. Our Price for a St Tropez tan at Clairs Beauty Salon is £25.00 and has not increased in 17 years! We want our clients to feel comfortable and confident with their tan. We guarantee no orange, no stripes, no patches, no stained hands or feet and no horrible fake tan smell. You are in safe hands here. 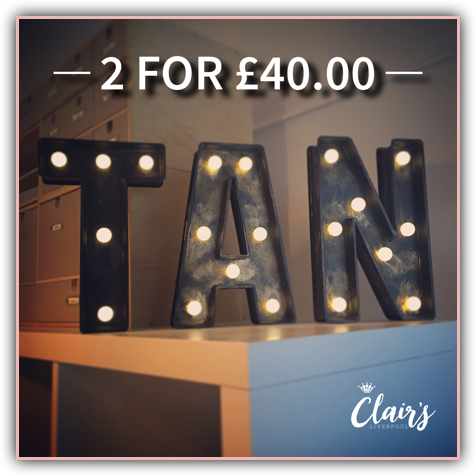 Book in with a friend and get the '2 for £40.00' offer. SAVE £5 each when you book together. *This offer is for 2 people who attend the salon together.